Sam Hurley is a lateral-thinking, people-focused digital marketer — holding solid experience in both agency and client-side settings. He now runs his own global personal branding and influencer marketing business: OPTIM-EYEZ. 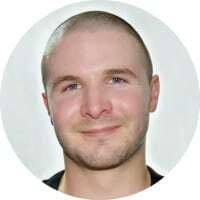 Sam has achieved success for popular, international brands while being ranked as the world’s #1 digital influencer by Webinale, #2 most influential digital marketer by Onalytica and one of the top 3 content marketing influencers by ScribbleLive. HOW DID YOU GET TO BECOME AN EXPERT IN DIGITAL MARKETING? I spent 5 years in employment (specifically Digital Marketing), covering everything from affiliate management through to SEO, Social Media and PPC — plus everything in between. During this time, I realized my passion for everything ‘digital’ was insatiable. The most important detail to share: I started working for zero pay. This was the key to gaining solid experience and getting my foot in the industry door. Each consecutive year I switched companies and worked hard to gain higher positions that demanded greater responsibility. My roles spanned work at brands through to digital agencies, from hands-on tasks to consultancy and managerial positions. This hugely-varied experience proved invaluable on my journey. WHAT AREAS OF DIGITAL MARKETING ARE YOU MOST PASSIONATE ABOUT? Social Media Marketing is at my core — I love how it connects brands with customers and fans instantly, enabling ‘human’ engagement that would otherwise not be possible. Since its explosion a few years ago, SMM has grown from ‘marketing add-on’ to an absolute necessity for many. I predict that social will become a staple for the remainder of businesses that missed the boat and failed to promptly recognize the vast opportunity this amazing channel presents. In alignment, it is becoming evermore critical to engage appropriately, rather than merely churning out promotional content on autopilot without any effort to create a genuine two-way, communicative experience. Tolerance for strategies like this are dwindling. Personal Branding syncs nicely with SMM and is also close to my heart. I believe everybody should build their own personal brand because it opens up so many new professional paths and relationships. As customers, we’re constantly seeking confirmation of trust — and what better way to display authenticity to customers than by producing and distributing meaningful content as the CEO, Head of Customer Service, or any other positions that drive a brand? Personal Branding is only becoming more prevalent and simply expected…yet many big names still get it wrong. Speaking of meaningful content, Storytelling is a component of Personal Branding that mustn’t be omitted. In addition to business-focused material, vulnerable Storytelling via Personal Branding is a way of truly engaging audiences on a deeper level. For instance, I share my many challenges, mistakes and successes as a solopreneur. This has the desirable effect of not only providing others with hope and inspiration as they navigate their own journeys — but it also ensures they are intensely tuned in to my brand and the value it offers. Universal Storytelling has been said to be the future of Content Marketing in 2018 and beyond. WHICH DIGITAL MARKETING INFLUENCERS INFLUENCE YOU? These pros are ridiculously talented, all with individual specialties and so much experience under their belts. I look up to them each day. OUTSIDE OF B2B SOCIAL BRANDING AND SELLING STRATEGIES WHO ELSE INFLUENCES YOU ? WHICH BRANDS OR PRODUCTS STAND OUT FOR YOU IN B2B SOCIAL BRANDING AND SELLING STRATEGIES? Amazon is king! Not only in Digital Marketing, but the entire experience provided to customers. Every brand should take a leaf out of Amazon’s book. Their techniques and ethics can be emulated on a much smaller scale…even if operations cannot. Groove also struck a chord with me after I began reading vulnerable, Storytelling content from CEO Alex Turnbull. Hearing how a mega-brand made mistakes and lost millions in revenue is exactly what makes me feel warm towards a company. They are both commendable examples to follow for customer love! My website has only recently launched, so I’m frequently hitting capacity these days! High-level partnerships and exclusive collaborations are two interests I will also be exploring later.